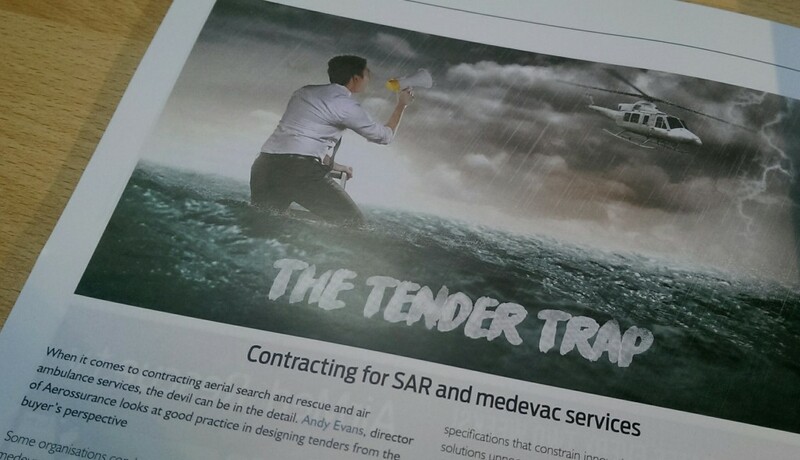 AirMed and Rescue published an article in their Dec 2016 / Jan 2017 issue by Aerossurance‘s Andy Evans on how to tender and contract for Search and Rescue (SAR) and medevac services (click this link for the full 3 page article online). While there are some unique aspects to SAR and medevac contracts, many of the principles discussed are common for all types of contracted air service. We have helped organisations in the defence, oil, gas, mining, logistics, environmental services and wind energy sectors contract for over 80 aircraft (helicopters and fixed wing). These have been for a range of transport, training and special mission contracts around the world, lasting from just a few weeks to 25 years. These contracts are worth over a £1 billion in total. UPDATE 31 January 2017: Aerossurance’s Andy Evans has also written an article in the current issue of the International Federation of Airworthiness (IFA) Airworthiness Matters magazine on: Next Generation Maintenance Human Factors.